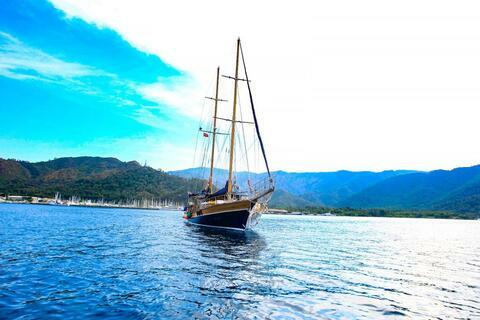 Gulet yachts were originally used to transport goods up and down the Turkish coastline and were, therefore, was crafted to not only be stable but also to ensure the shipment was kept safe and dry. 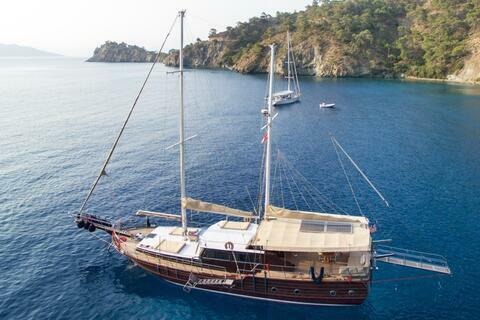 More recently, however, although still constructed from beautifully carved wood, luxury gulet yachts are used to carry charter guests rather than cargo. 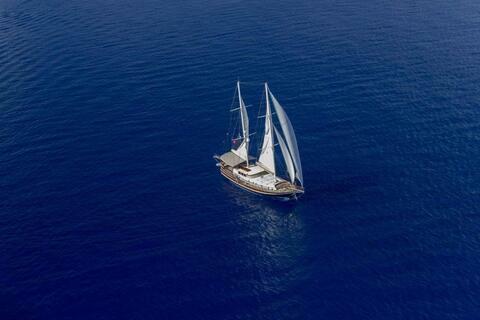 Gulet sailing yachts cruise at a graceful speed giving onboard charter guests the perfect opportunity to take in the stunning scenery whilst gently meandering on the crystal clear waters. 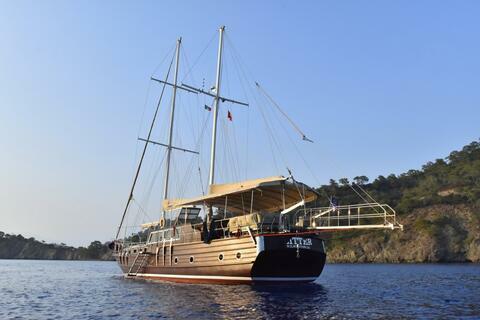 For those looking for a luxury yacht charter vacation that combines history, beauty and generous onboard space, a gulet yacht offers an invitingly casual elegance with a ’get away from it all’ feel. 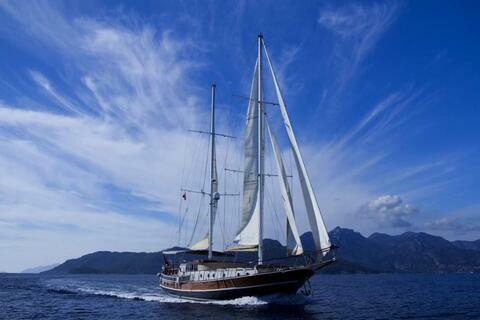 Search our extensive list of charter yachts to find the perfect Gulet charter for you. 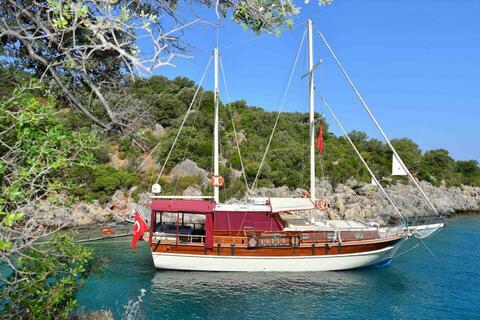 Flying the Turkish flag with pride, she is 16 metres in length with 1 master cabin and 1 double cabin (cabins are air-conditioned and en-suite). 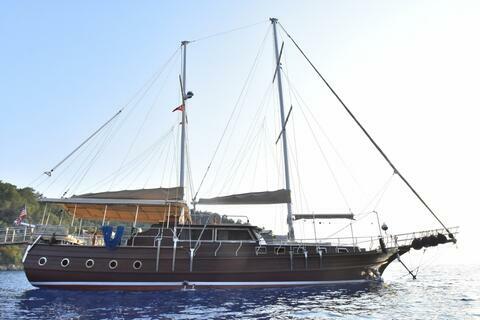 In 2002, Kaya Mehmet was built, and refurbished in 2017, 27 meters of luxury gulet. 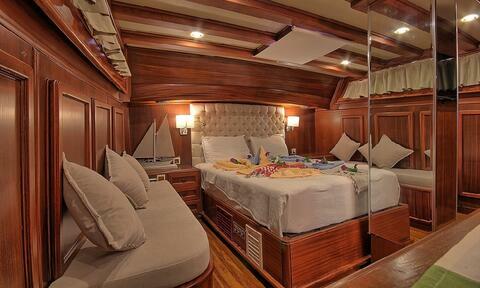 This luxury category yacht, drawing its attention with economic price advantages. 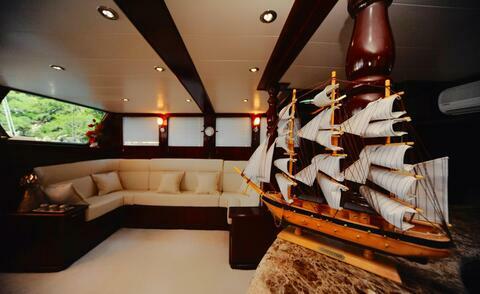 Constructed in 2011 this 21-metre luxury yacht has exceptional interior and exterior. 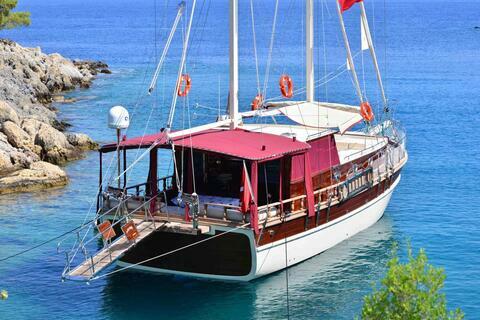 Neptün is standard 4 cabin Gulet from Bodrum . 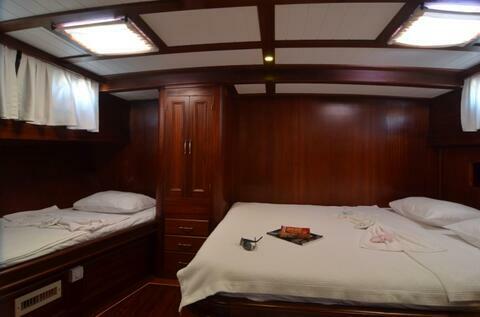 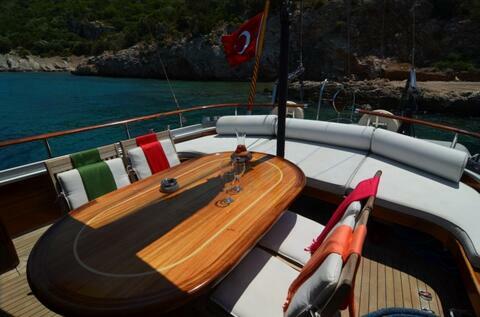 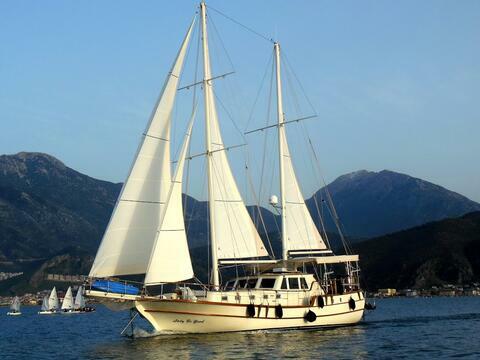 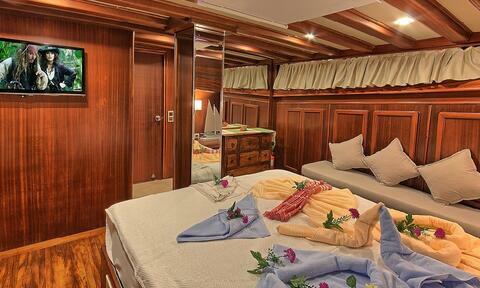 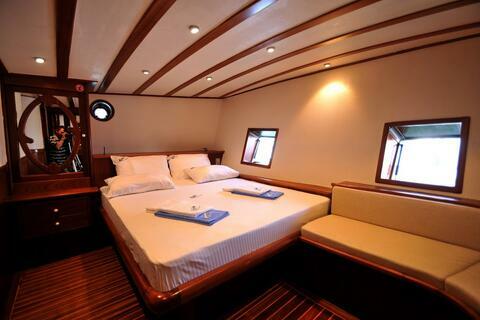 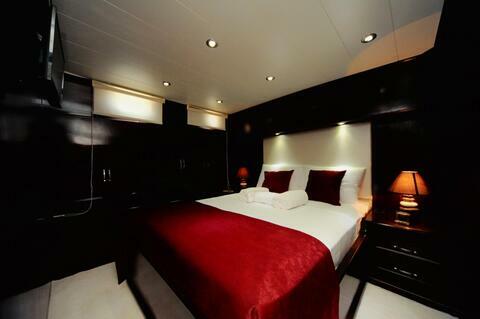 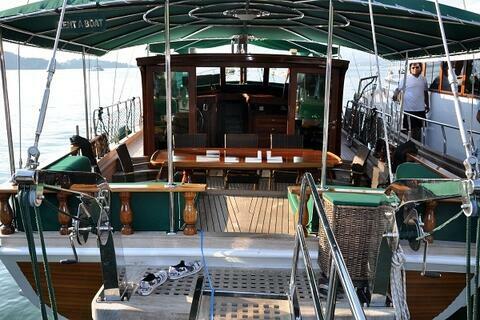 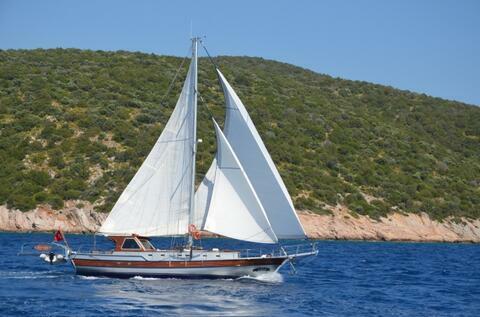 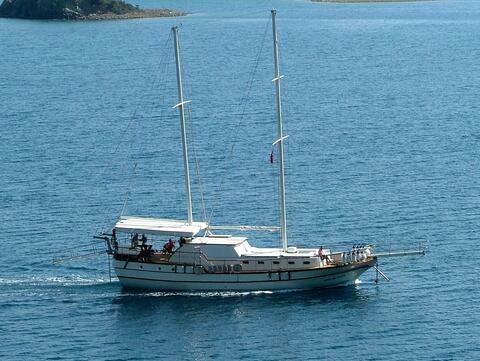 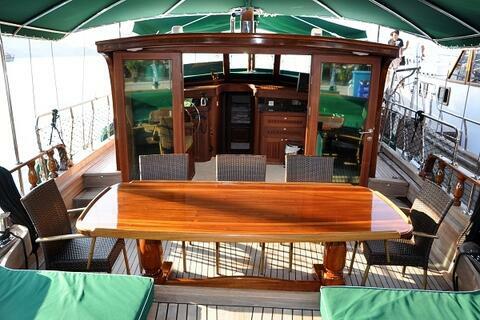 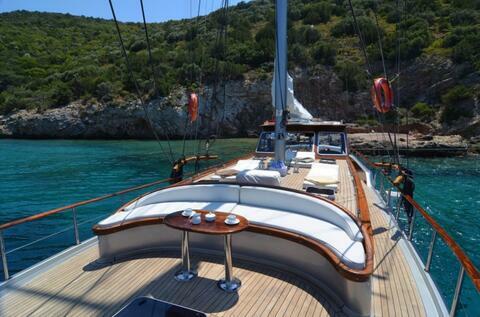 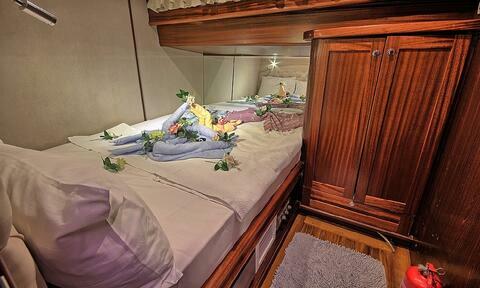 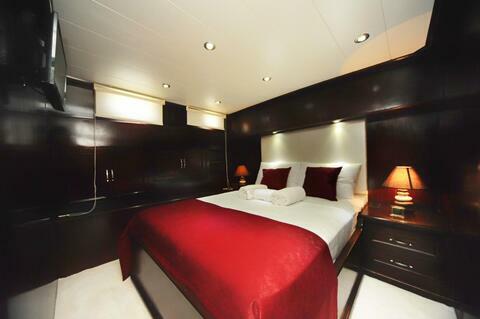 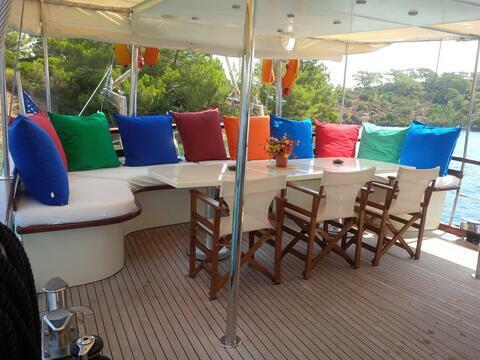 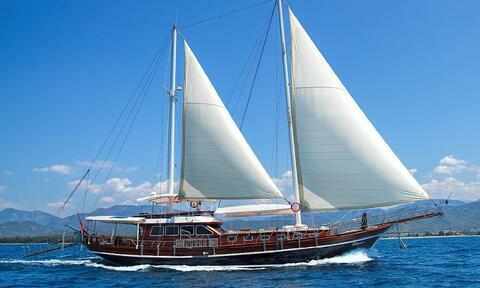 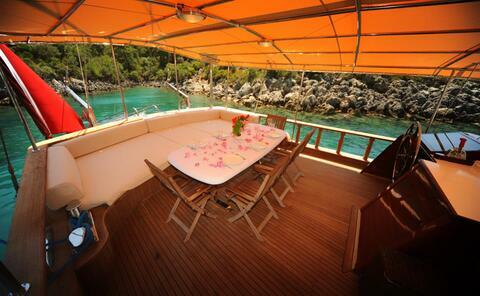 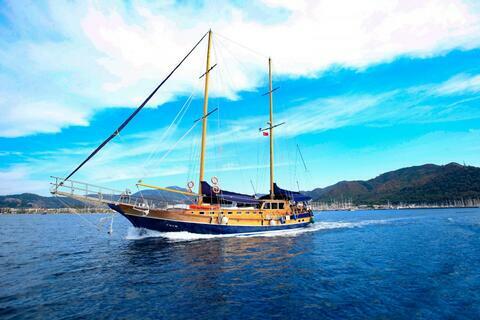 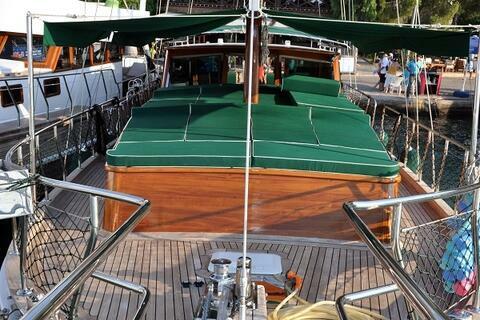 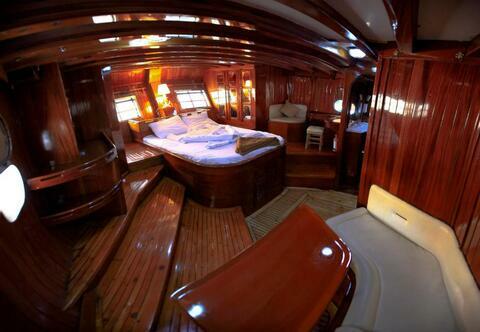 Lady Be Good is 3 cabin stylish deluxe gulet . 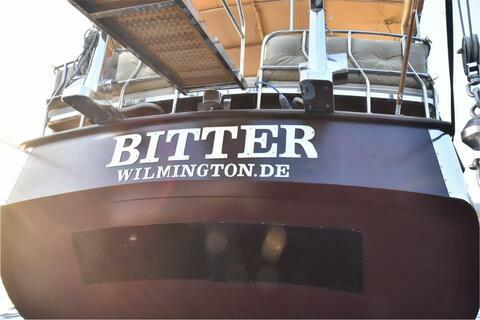 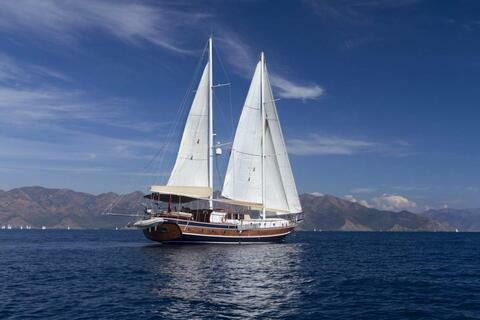 Our yacht, which was launched in 2005, providing the blue cruise service with 8 cabins. 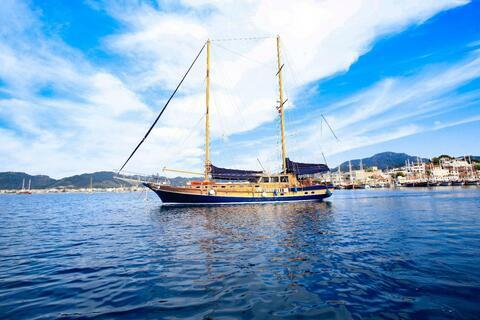 Get ready for a stunning and adventurous Blue cruise experience with Deluxe Hasay . 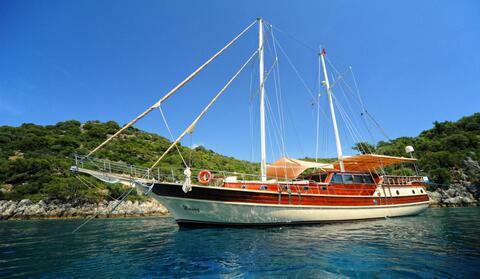 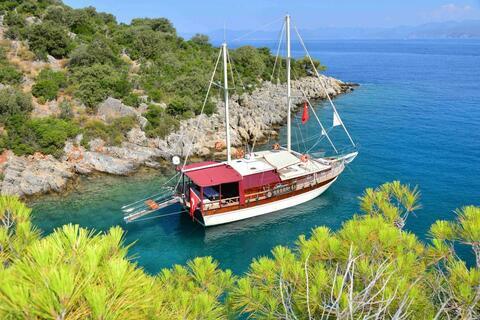 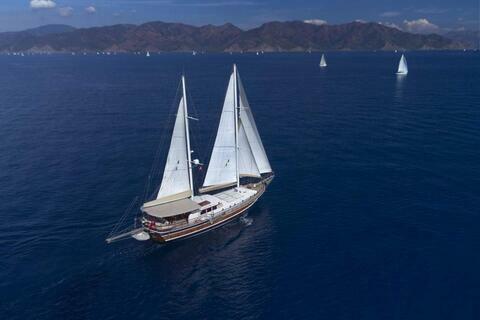 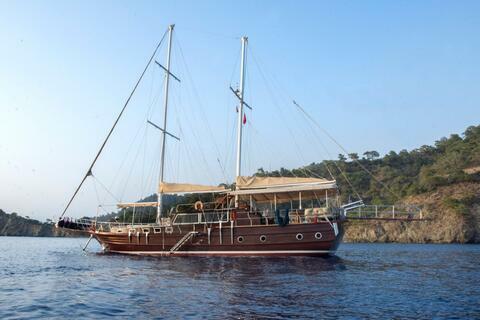 Based in a luxury category Romance is 3 cabin gulet can accommodate up to 6 people . 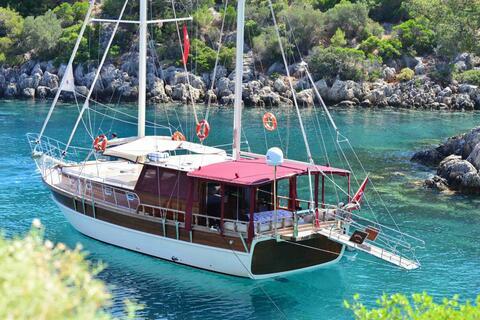 Based in Fethiye .